Are you ready for that next step in homeownership? This is the perfect home to make that happen! 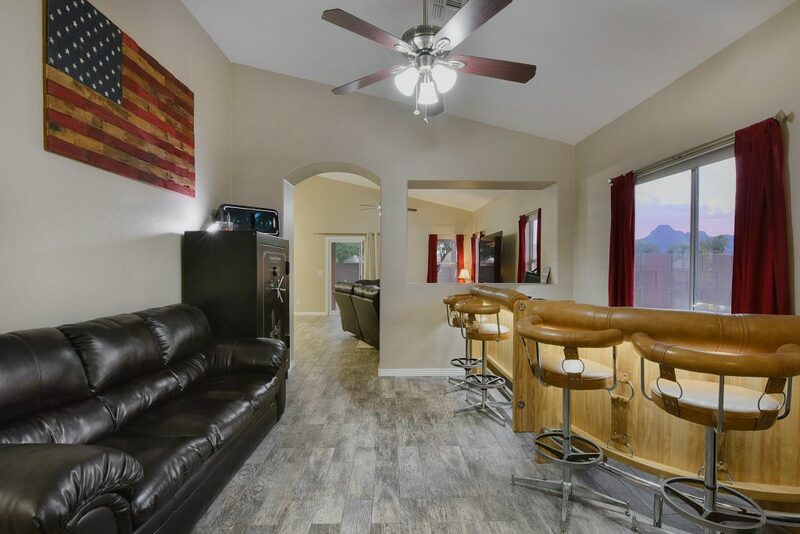 Nestled in the desirable community of Continental Ranch in the heart of Marana, this home has been beautifully updated with great attention to detail and quality craftsmanship. A private side entry welcomes you to this beautifully updated, contemporary home. An inviting entry easily flows into an open-concept floorplan, accented by vaulted ceilings and neutral décor – including elegant porcelain woodgrain tile, upgraded baseboards, upgraded plush carpeting in the bedrooms, and neutral paint. Spacious living areas offer easy-living with flexible space to gather with family and friends. You’ll enjoy the free-flowing floorplan that brings focus to the heart of the home: a spacious island kitchen. Featuring high-end, white lacquer-finished cabinetry with above-cabinet lighting, a large closet pantry, and stainless steel appliances, the space is open and bright with great storage and workspace. A charming bay window adjacent to the kitchen area creates the perfect dining nook and allows great natural lighting. 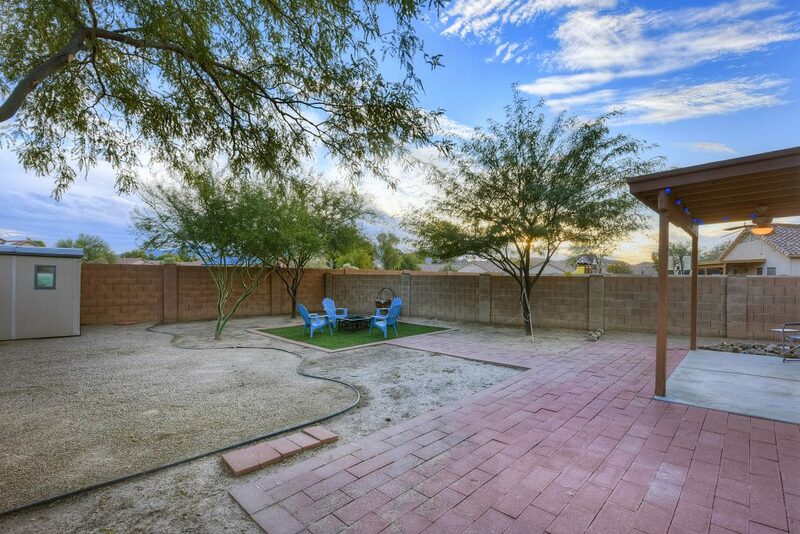 Overlooking the backyard, this may very well become one of your favorite spots in your new home! A fabulous owner’s suite is the perfect place to unwind after a long day! The spa-like ensuite bath features stunning marble tilework with Carrera marble accents and a luxurious shower and tub. 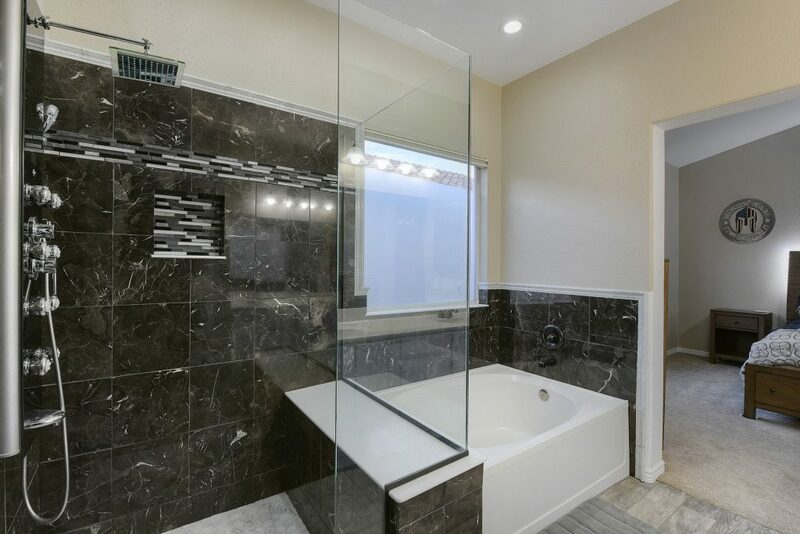 Complete with a floating glass wall surround, multiple body spray shower jets, a large rain shower head, and tiled bench, the shower is truly exceptional. If your prescription for relaxation calls for just a little more opulence, a soak in the gorgeous garden tub is the perfect remedy! Two guest bedrooms complete the home’s living spaces, along with a stylish guest bath updated with marble tilework and finishes to complement those found in the owner’s ensuite bath. 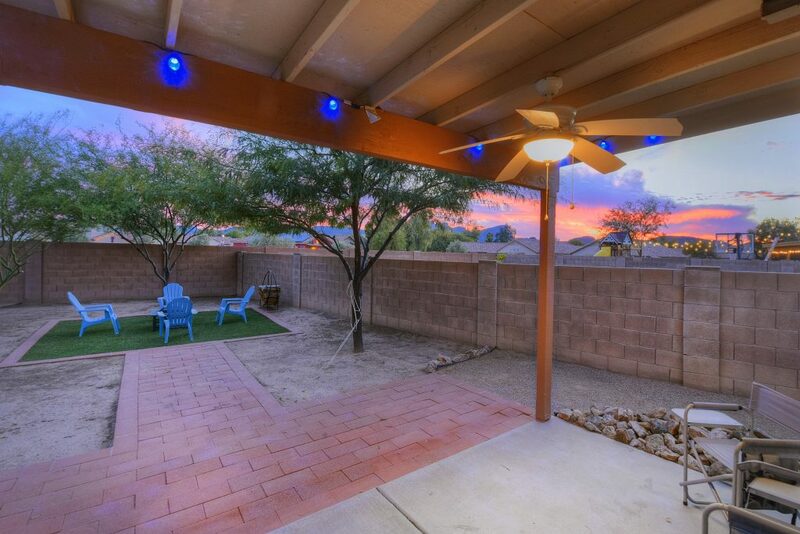 With no direct neighbors behind the home, you’ll enjoy added privacy in the large backyard with sunset views and plenty of space to entertain, plant gardens, add play areas, and more…the possibilities are endless! Custom brick entertaining areas and walkways, surrounded by a clean, tidy landscape offer the perfect canvas to create the yard of your dreams! And you won’t want to miss checking out the extended two-car garage that rivals the competition! 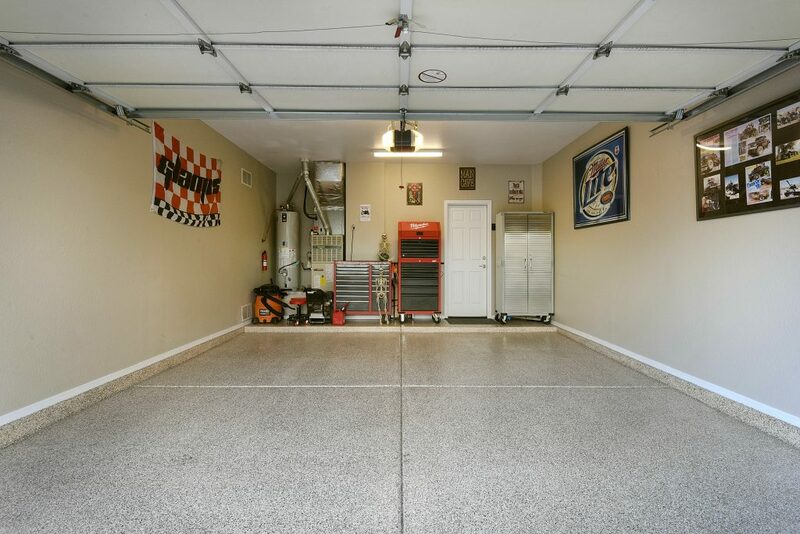 Epoxy-finished floors and freshly painted walls are sure to please the car enthusiast or craftsman in your household. 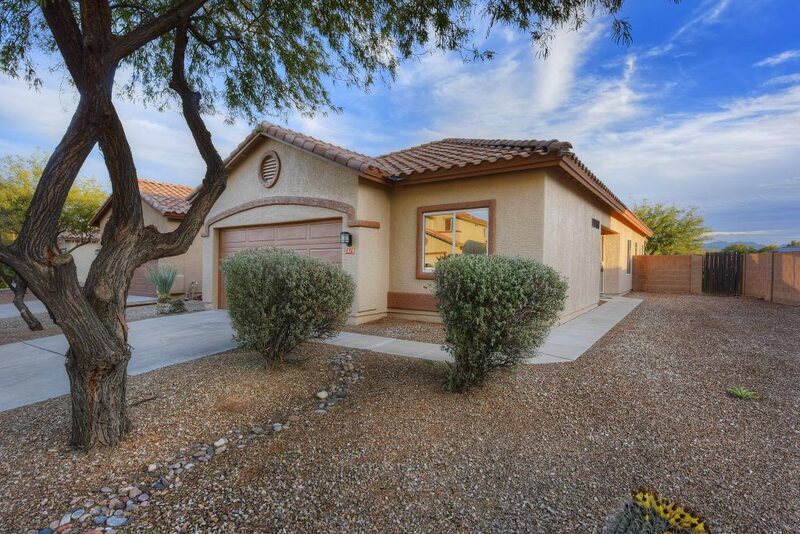 Nestled on a quiet, cul-de-sac lot, you’ll love all that the location of this home has to offer! Just a few houses away is access to “The Loop” – Tucson’s multi-use path that extends over 55 miles throughout the Tucson area, taking walkers, bikers, and runners away from car traffic and along the Santa Cruz River/Wash bed offering a tranquil environment to enjoy mountain views and desert scenery. enclosed dog park, and public library! Golf enthusiasts will appreciate the convenience of Quarry Pines Golf Club, that is also just a short drive away. 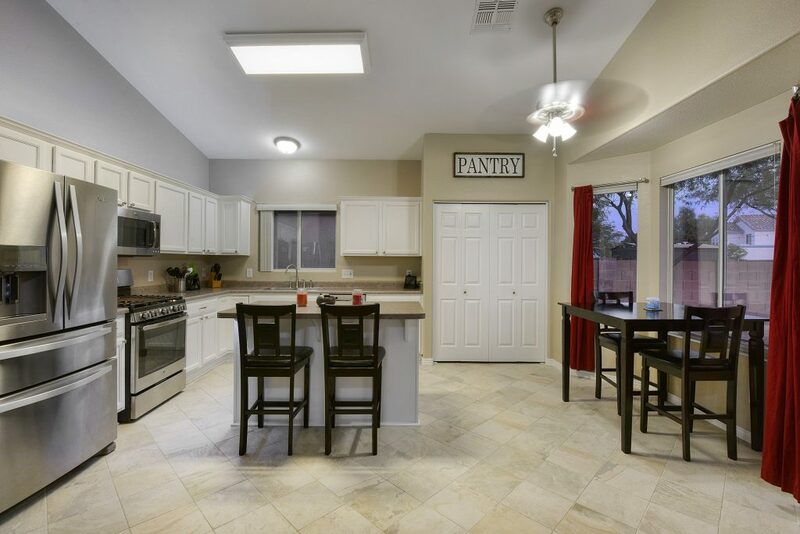 With easy access to I-10, Twin Peaks Road, and Silverbell Road, you are just moments away from the the Tucson Premium Outlets, with additional shopping, dining, a movie theater, and more located nearby at the Arizona Pavilions. For commuters, easy access to I-10 is ideal! This impeccable home provides all the elements for relaxing, comfortable and easy-care living. Located in a wonderful community with much to offer, this is truly a place you will look forward to calling home! Schedule A Private Showing, Here!